About 80% of the people surveyed by Bankrate.com, said they have not increased their discretionary spending in response to falling gas prices this year. Gas prices are slightly lower this year, but that's not leading to a large pick-up in consumer spending, according to a survey by Bankrate.com. About 80% of the 1,000 people Bankrate surveyed said they have not increased their discretionary spending in response to falling gas prices this year. Perhaps it's because prices have been choppy? 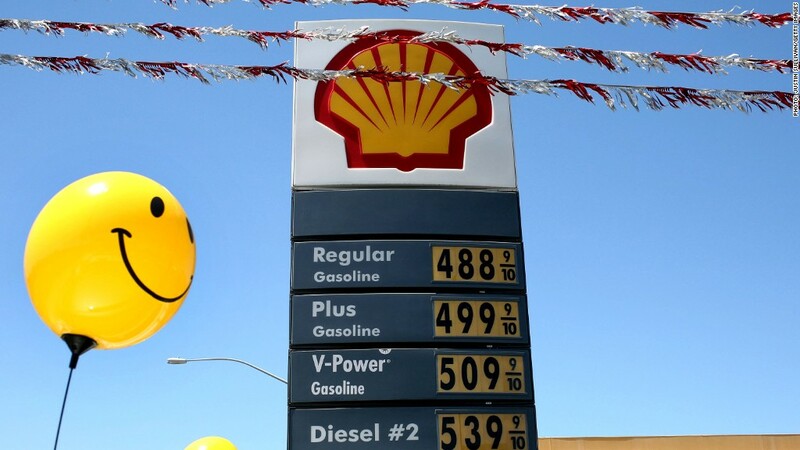 Gas prices rose for 34 straight days at the beginning of the year, then fell through most of March and April. They have since risen again slightly. That said, gas is still cheaper compared to a year ago. As of Monday, a gallon of unleaded gasoline cost $3.65, according to AAA. That's 4 cents lower than the same time last year. Economists have welcomed this year's lower gas prices as an inadvertent stimulus. Many have said that cheaper gas could lessen the blow from the higher payroll taxes that went into effect at the start of the year. But gas prices may have not fallen enough to make up for the decline in take-home pay, said Greg McBride, Bankrate's senior financial analyst. "Budgets are still really tight, and households cannot lean against the crutch of credit to support their lifestyles," he said. "There's not a whole lot of extra room in their budgets to throw extra money around." In the prior two years, Bankrate studies showed most Americans cut back on discretionary purchases in response to rising gas prices.